This week I joined forces with Oak + Oats to host the Week's End Link Up! Be sure to check out some of these awesome posts and follow Elizabeth of Oak + Oats on her journey! Every Monday I host a link up called Week's End! It is a place for you to link up your favorite post from the week and meet new bloggers. I love community and think that we can all learn something from each other! 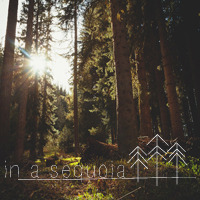 This week Megan of In a Sequoia is my co-host! In a sequoia is all about creating a life you love. A life you're passionate about. A life you can't wait to live when you wake up.